Over the past 4 years Ethan has been involved in numerous areas of the fitness industry from working with division 1 college athletes to training the average adult. 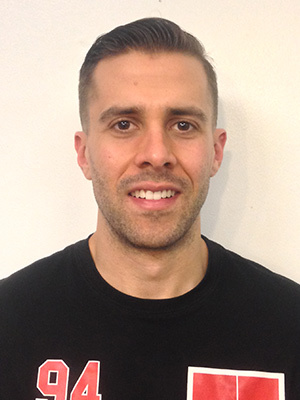 His background with sport performance and development along with his interests in motor learning gives him a unique approach to training that involves effective teaching on top of exercise programming. Ethan’s interest in fitness began 10 years ago which started as following simple workouts and learning the basics. Currently, his interests have shifted more towards performance and Olympic lifting as well as the underlying physiological response to training. Whether it is handling large groups or one on one training, Ethan is able to draw from multiple areas of discipline in order to find what is best for his clients. Training to Ethan is more than just getting into shape, it is learning skills, building mental strength, gaining focus and creating a positive aspect in life.